As nice as it is to stream unlimited Spotify music online, you may wish to download your favorite Spotify tracks for playback offline and export tracks to other devices. However, Spotify Free users are not be allowed to download Spotify music for offline listening. Even if update to the Premium plan, they can’t stream Spotify music on all of their devices as they want, such as MP3 player, car player, or burn to a CD for enjoying. So to play ad-free Spotify music offline on portable devices, many Free users try their best to search for a great Spotify Music Downloader, then look no further as NoteBurner Spotify Music Converter is here to help you. In this post, we will tell you all about NoteBurner Spotify Music Converter and what this amazing software offers all features. 1. What is NoteBurner Spotify Music Converter? No doubt, NoteBurner Spotify Music Converter is the best Spotify Music Downloader and Converter among its competitors and is a must try for all those users who wish to remove DRM from Spotify track. It is built with advanced encoding technology and compatible with both Windows and Mac, and via this converter you can perfectly convert DRM-ed Spotify music to plain MP3, AAC, FLAC or WAV format. The real handy part about this removal is that it will help you download DRM-free Spotify music at with keeping 100% lossless quality. In this case, users can get rid of the restriction of DRM, enjoy the Spotify music on any of their device offline, such as car player, AAC compatible player, iPhone and so on. Spotify is proprietary and uses digital rights management (DRM), so that users can't enjoy Spotify music freely. 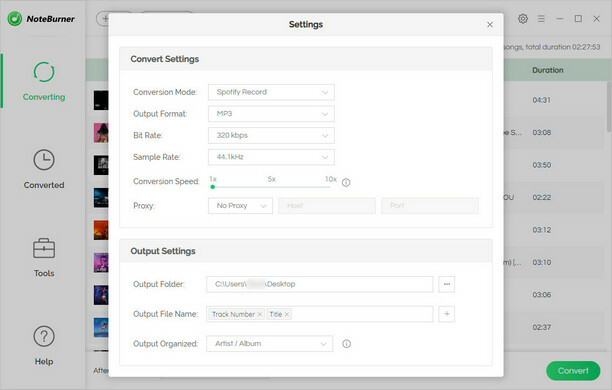 Spotify Music Converter is born to help users to remove DRM from any of DRM-ed Spotify music or playlists. 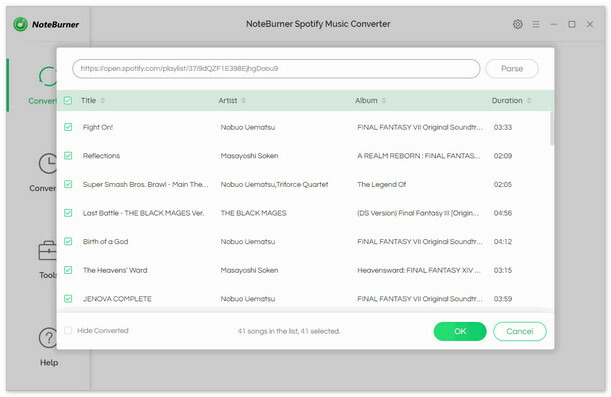 NoteBurner Spotify Music Converter can easily unlock the DRM from Spotify songs or playlists, and convert them into the MP3, AAC, FLAC or WAV format. NoteBurner Spotify Music Converter now supports to burn your converted Spotify music to CD directly without the need of installing other CD burners. Looking for a way to share your favorite Spotify music with friend? This program supports to share your Spotify music to friend via email after conversion, thus they can enjoy the DRM-free Spotify songs without signing up to Spotify. It features advanced encoding technology to record Spotify music. And there is no loss in the quality of the audio during the conversion process. Support to keep ID3 Tags. The ID3 Tags will be preserved in output MP3, FLAC or AAC files after converting, including title, artwork, artist, album, track number. Once purchasing the program, you can gain a lifelong license and enjoy every updates for free and contact their support for any problem you have met. NoteBurner team will help you solve problem within 24 hours. Navigate to the Spotify Music Converter for Windows page (Mac users can go here) and select either the Free Trial version or the Buy Now option. You can download the trial version for a try. The conversion is pretty fast and works well. 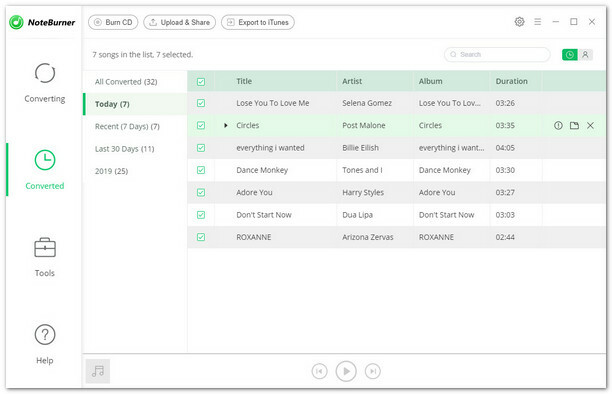 The free trial will allow you to convert the first 3 minutes of each song. Once you download and install the program, you can download Spotify music as DRM-free version with ease. 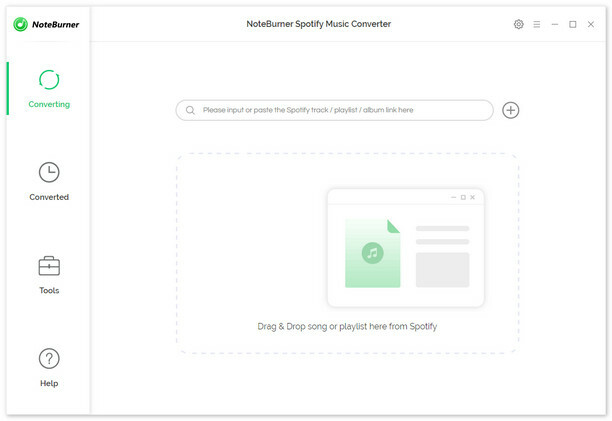 Overall, NoteBurner Spotify Music Converter is a feature-rich preset-based music converter that can download and convert DRM-ed Spotify tracks to MP3, AAC, FLAC, and WAV along with DRM removal. It is undoubtedly one of the most robust Spotify DRM Removal tool that we’ve ever seen. It works like a breeze for both novice and advanced users.